Here at the store, we almost always have a picture book circulating around our staff. Sometimes they make us think, like Hello Hello by Brendan Wenzel. Sometimes they make us cry, like Love by Matt de la Peña. And sometimes they make us snort coffee through our noses and run to the back room, howling with laughter. Author and illustrator Tim Miller specializes in that last category. His books are zany, funny, and full of heart. He's a big hit with young readers, too—we're teaming up with Tim to visit a few Houston-area schools on April 3, and we can't wait to see their reactions to What's Cooking, Moo Moo?, his laugh-out-loud latest. Before we yuk it up with the youngsters, we caught up with Tim for a quick Q&A. Read on! Ever since An Ember in the Ashes was published in 2015, we've been hanging on every word written by Sabaa Tahir. (Look, any time an author is compared to JK Rowling, the first thing you do is run to the closest bookstore.) You can believe the hype. Tahir is a master storyteller at the height of her powers, and her propulsive Ember series is almost impossible to put down. Filled with compelling characters moving through a fantasy world that can bear an uncomfortable resemblance to our own, the Ember quartet is well on its way to "classic" status—and the third book doesn't even come out until June. Tahir is also a tireless advocate for representation in young adult literature, wearing her support for diverse stories on her sleeve—and on the beautiful covers of her bestsellers. We can't wait to welcome Tahir to TeenBookCon on March 24, where she'll deliver the morning keynote address before appearing on panels with other fantastic authors and greeting fans at the end of the day. Go ahead and pre-register (it's free!) now, then come back and read our Q&A with the author below. Joelle Charbonneau knows a thing or two about a good thriller—we're still reeling after the ending of the Testing trilogy, and that was years ago. True to form, her new YA release, Time Bomb, offers thrills aplenty. But Charbonneau also weaves in provocative narrative themes around the destructive power of assumption and how there can be much more to a person than what meets the eye. The author is visiting us for a special in-store event on March 20. Before she comes, check out our exclusive Q&A below—and don't forget to preorder Time Bomb from our website. Once you get your hands on it, you won't be able to put it down. Our March is following the old adage—in like a lion and out like a lamb. 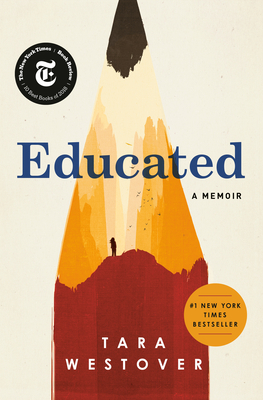 (Not that our upcoming April visit with Junot Díaz qualifies as going out like a lamb.) But the rest of our month will be so full of author visits and school events that we'll scarcely be able to catch a breath until April is here! We may need to start doing yoga poses and breathing exercises at our weekly staff meeting. Have you read The Authentics, the debut YA novel from Abdi Nazemian? Stick it on your to-be-read list if it's not already there. It's a deeply resonant story about love, self-discovery, and famiy—both the one that we're given and the one that we choose. Its protagonist, Daria Esfandyar, is a proud Iranian-American teenager with a fresh voice, and she'll stick with you long after the book is over. 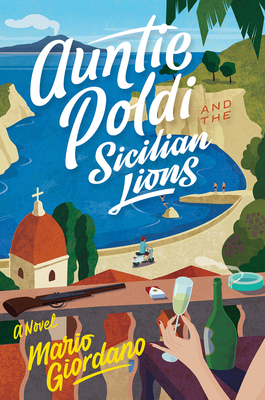 We gobbled this book up when it came out last summer, and we're eagerly awaiting Nazemian's next. As a matter of fact, we plan on asking him what he's been working on when he visits us for TeenBookCon on March 24—along with 25 more of the best teen and YA authors out there. (You're coming, right?) We caught up with Abdi for a short Q&A before the festival—read it below. Book Bites: Hello Auntie Poldi, Wild Boggart! There's no place as magical as a bookshelf—just think of the wonders they can hold! To read is to visit a thousand wonderful worlds. Here are nine of our recent favorites, from picture books to high literary fiction to a breezy madcap mystery bursting with charm. We can't wait to share these new and recent releases—read on! Read more about Book Bites: Hello Auntie Poldi, Wild Boggart! Ever since Stephanie Garber's Caraval came out at the start of last year, we've been eager to hear more from this exciting voice in young adult fantasy. 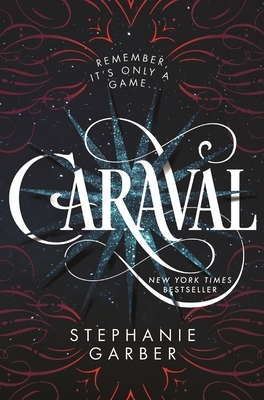 Caraval is an immersive and sweeping novel that's perfect for members of the Night Circus crowd or those who always wanted to attend Beauxbatons. The sequel, Legendary, lives up to its name. It picks up where the first book left off, upping the stakes along the way—but you'll have to wait until the end of May to read it. In the meantime, we're very excited to welcome Stephanie to this year's TeenBookCon on March 24, where she'll be joined by 25 more of the best authors of teen and young adult fiction. Read our Q&A with Stephanie below. Have we seen the last of the cold weather? Greg seems to think so, as he went to buy his tomato plants today. He is busy cleaning out the garden beds and doing spring things. We were able to sit on the front porch and read this weekend. At the shop, we've been busy restocking our gift shelves after the holiday season. New journals, pens, and note cards are waiting here for you. And Julia has picked out fun new jigsaw puzzles for your family's spring break at the beach (or in the mountains!). Memoirs your thing? Have we got the book for you. Books, even. A wave of fascinating life stories have hit our shelves in recent weeks; click the button below to get the scoop on three of our favorites. Of course, that’s not all we’ve been reading. Cathy and Jennifer can always be counted on to help find the perfect book for readers of any age. Valerie just finished a great mystery. And Barb absolutely loved the latest novel from Kristin Hannah — it’s every bit as good as The Nightingale. Oh, and have you heard about Teen Book Con? The annual festival for young adult readers returns for its ninth year on March 24, and the 2018 lineup is one of the best yet. Get in the mood by checking out one of our favorite teen releases from last year, and stay tuned for more Teen Book Con reviews in the coming weeks. Another Exciting Event Announcement, Plus Valentine's Gifts! Often we think of January and February as being a slow time at the shop. A time to relax, think of new projects, and talk about what we are reading. This year, it's been full steam ahead for events and projects with no break in sight! And we love it. Our Bookworm Festival on Saturday was so wonderful. Over 500 kids, parents, and teachers were entertained by seven wonderful authors and one standout musician. Everyone had a chance to meet some book stars! Read more about Another Exciting Event Announcement, Plus Valentine's Gifts!